Futures for the Dow Jones Industrial Average for today (Monday) forecast a 34-point loss as oil prices fell again due to a swell in oversupply. Iraq announced a record oil production level for December. Meanwhile, investors were reacting to the initial earnings announcements of a number of Dow components. On Friday, the Dow gained 210 points while the S&P 500 held just above the 1,900 level. Oil prices rallied due to a continental cold snap and as traders covered their short positions on crude. Meanwhile, the National Association of Realtors announced that existing home sales jumped 14.7% last month and hit a seasonally adjusted yearly rate of 5.46 million units. The Stock Market Today: On Monday, a light economic calendar features an update to the Dallas Fed Manufacturing Survey. Traders will gear up for the following day when the Fed Open Market Committee meets for the first time in 2016 and discusses its outlook for rate hikes and other monetary policy tools. 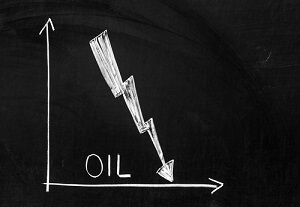 Oil Outlook: Oil prices fell again as concerns about oversupply rattled trader sentiment. WTI prices dipped 2.7% to reach $31.33 per barrel. Brent oil crude fell 2.6% to reach $31.34. Iraq's oil ministry announced it produced a record amount of oil in December, with its central and southern region pumping more than 4.1 million barrels each day. Meanwhile, the Indonesian OPEC governor again hammered any hope that the oil cartel would be taking steps to boost crude prices any time soon. Iran and Saudi Arabia – the two most important members of OPEC – remain engaged in a political and economic battle that appears unlikely to end in the near future. Earnings Report No. 1, MCD: Before the bell, McDonald's Corp. (NYSE: MCD) reported a stronger than expected fourth-quarter earnings report. Shares were up more than 3% after the firm beat Wall Street's earnings per share (EPS) expectations of $1.23 by $0.08. McDonald's also reported $6.23 billion in revenue. The firm reported that same-store sales increased 5%, while U.S. sales jumped 5.7%. The quarterly report is its first since the firm announced its all-day breakfast menu in October. Earnings Report No. 2, HAL: Shares of Halliburton Co. (NYSE: HAL) are on the move this morning after the oil field services giant reported its 2015 Q4 earnings. The company beat top-line, per-share earnings expectations of $0.24 by $0.07. However, the firm was slightly below the $5.09 billion in revenue that Wall Street projected, reporting $5.08 billion. Additional companies reporting quarterly earnings include Steel Dynamics (Nasdaq: STLD), D.R. Horton Inc. (NYSE: DHI), Brown & Brown Inc. (NYSE: BRO), and Crane Co. (NYSE: CR). Stocks to Watch No. 1, TWTR: Shares of Twitter Inc. (NYSE: TWTR) fell nearly 4% after CEO Jack Dorsey announced via social media that four leading executives are leaving the company "voluntarily." The company will also soon announce two new board members in the near term. Stocks to Watch No. 2, TYC: Shares of Tyco International Plc. (NYSE: TYC) jumped more than 14% after the company announced plans to merge with Johnson Controls Inc. (NYSE: JCI). The deal will provide Johnson Controls shareholders with 56% of the new firm and roughly $3.9 billion in cash. The new firm would also be headquartered in Ireland, where Tyco currently resides. Stocks to Watch No. 3, CAT: Shares of Caterpillar Inc. (NYSE: CAT) fell more than 2.5% after the firm had its stock rating slashed to "Sell" by investment bank Goldman Sachs Group Inc. (NYSE: GS). The downgrade comes on expectations that companies and countries around the world have lowered infrastructure spending. Stocks to Watch No. 4, AAPL: Shares of Apple Inc. (Nasdaq: AAPL) were off slightly this morning after the announcement that executive Steve Zadesky is leaving the tech giant for personal reasons. The executive has led the firm's efforts to produce an electric vehicle for two years and has spent 16 years at the organization. Stocks to Watch No. 5, YHOO: Shares of Yahoo! Inc. (Nasdaq: YHOO) added 1% in pre-market hours after the company announced plans last week to explore its strategic options after – and only after – it reports its quarterly earnings on Feb. 2. The firm has been under pressure from activist investor Starboard Value LP to spin off its Internet business. Others are pushing for a full sale as some argue YHOO stock will continue to decline due to its inability to compete against Facebook Inc. (Nasdaq: FB) and Alphabet Inc. (Nasdaq: GOOGL, GOOG) in the online advertising world. The timing puts CEO Marissa Mayer under increased pressure as the earnings call approaches.